Margaret Carter first became acquainted with Heart to Heart five years ago after moving to Columbus. 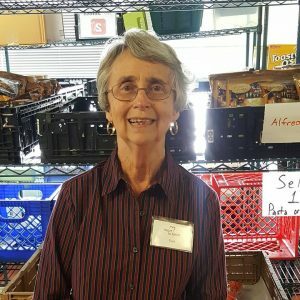 She first volunteered as a shopper, but for the last three years she has become well known in the pantry as the “Coupon Lady”. Heart to Heart provides a coupon box that clients are welcome to search through to save money on items the pantry does not provide. Margaret has stepped into the role of managing, clipping, and sorting coupons. Hello my name is Daniel Frazier. I usually just like to be called Dan but at Heart to Heart they call me “Dan the man” and it always makes me smile. 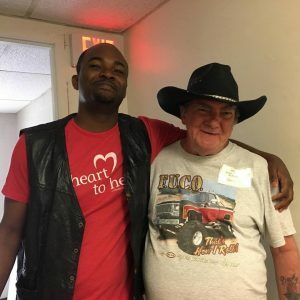 I have been volunteering at Heart to Heart every Tuesday and Thursday for about 2 years and I love working with all the other volunteers there. They really take the time out to accept me and get to know me and my staff. I like pushing carts and helping people put their food from the pantry in their vehicles. It’s very rewarding connecting with people and being able to help them. I also enjoy the occasional cooking classes Heart to Heart offers. 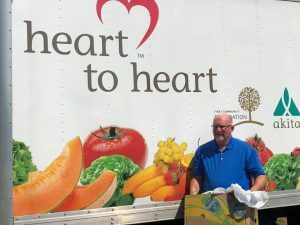 If you are reading this and think you might like to help out in your community, Heart to Heart and other food pantry’s could always use some good volunteers. 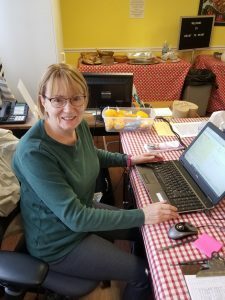 Thank you, Sue, our August Volunteer of the Month! Please help us thank our Volunteer of the Month, Bob Miller! Bob has been a resident of Grandview since 1985 with his wife, Jane, and four sons. 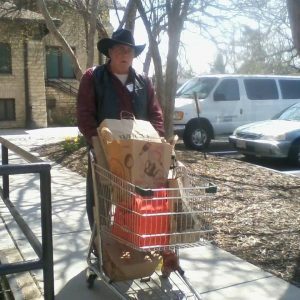 He enjoys working with Heart to Heart Food Pantry on Thursday afternoons and Friday mornings. He picks up the extra food at the end of the week and takes it to one of several local shelters, who welcome the food with open arms.